Sorin Lupascu is one of the pioneers of DJs clubbing in Romania, resident in the 80s, at the Ring Disco in Costinesti. Disco Made in Romania Party! "The Way We Were! @ Eden Club" Party in Bucharest. 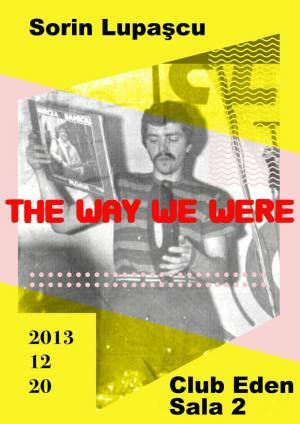 You can get here description, reviews, address, time and details of "The Way We Were! @ Eden Club" Party in Bucharest. Visit Bucharest Tips for more Party events in Bucharest!